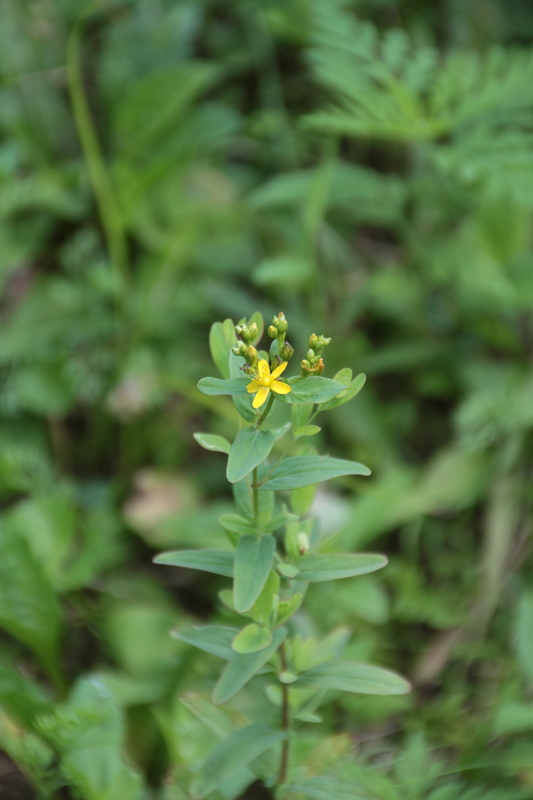 Native St. Johnswort, Hypericum punctatum. 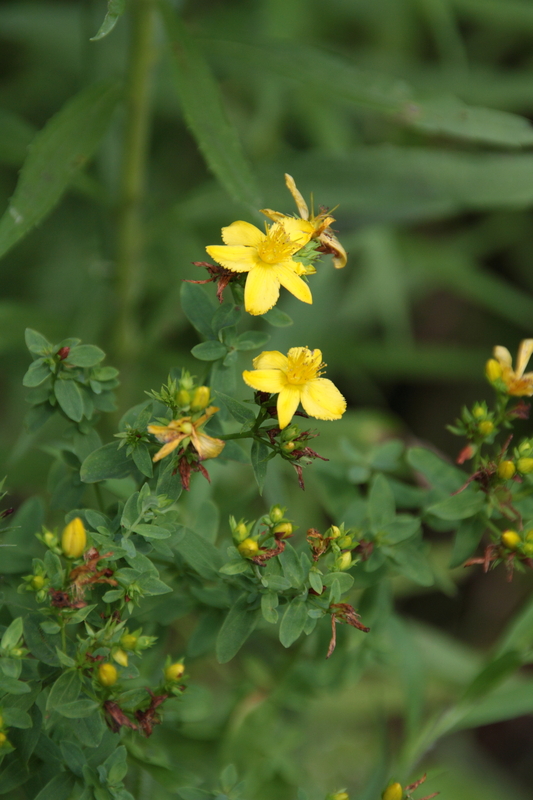 Invasive St. Johnswort, Hypericum perforatum. My honors thesis at Cornell University explored the interactions of native and invasive St. Johnswort with an introduced biological control agent, the beetle Chrysolina quadrigemina. I conducted this work in the Agrawal lab, collaborating closely with then-PhD student Susan Cook-Patton. The resulting article is published in PeerJ. 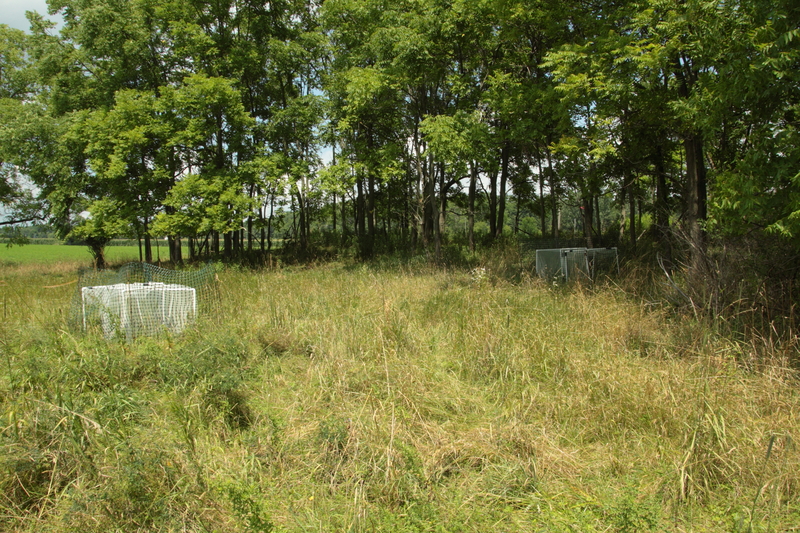 Experimental setup in a Tompkins County, New York field.